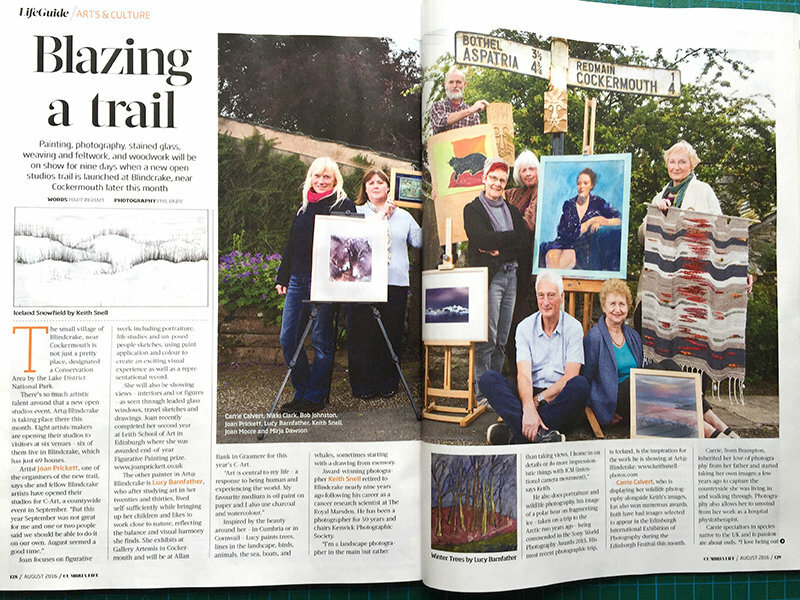 An article about the Art@Blindcrake arts trail has appeared in Cumbria Life magazine. The magazine is widely read throughout Cumbria and will help to spread the word about our arts trail on 20-28 August in Blindcrake village. I will be exhibiting photographs from my recent trips to Iceland and alongside those there will be wildlife images from the talented Carrie Calvert, Please come along if you are in the area at that time.